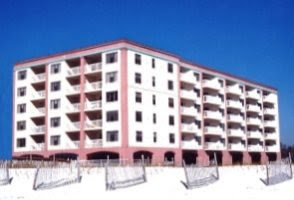 Perdido Key condo for rent at Beach Colony. Luxurious, elegant, private, beach front, resort—words that describe your vacation getaway home. Beach Colony Resort is a vacation destination with all the first-class amenities including two swimming pools, a heated indoor pool and hot tub, a state of the art fitness facility, (2) clay tennis courts. Beach Colony is low density with only 4 condos on each floor. You will love the palm tree lined entrance to your piece of tropical paradise. For added privacy, security codes are required for gate entrance and floor access.